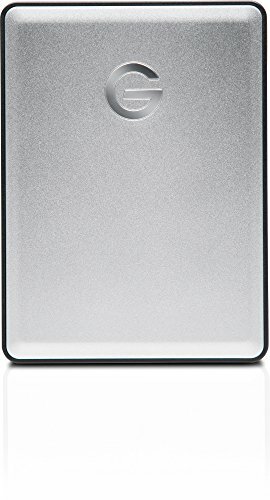 Featuring a plug-and-play USB 3.0 port and transfer speeds up to 130MB/s2, the G-DRIVE mobile drive offers portable storage in a stylish, aluminum design to complement your Mac computer. And with up to 4TB1 of Mac storage, you're instantly ready to back up your favorite videos, photos, music and documents, wherever you go. The G-DRIVETM mobile drive provides sturdy, portable storage in a sleek aluminum case designed to travel well and complement your Mac computer. G-DRIVETM mobile includes both USB-C and USB-A cables to make it universally compatible with Mac computers. The G-DRIVETM mobile drive delivers up to 4TB of portable storage so you can always carry your favorite videos, photos, music and documents. With transfer rates up to 130MB/s and a USB 3.0 port, the G-DRIVETM mobile drive lets you quickly back up and transfer videos, photos and documents. Backed by a 3-year limited warranty and a complete online knowledge base, the G-DRIVETM mobile lets you confidently add storage whenever you need it.